See also Death Valley, Joshua Tree, Redwood, Sequoia/Kings Canyon and Yosemite National Parks. 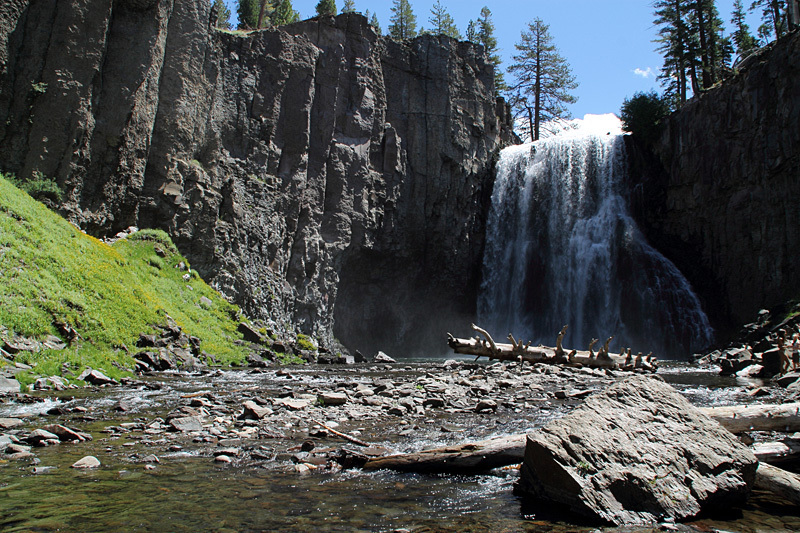 Using the shuttle at Devils Postpile National Monument (mandatory for most visitors during the summer), a moderate 4 mile hike will take you one-way you from the Postpile to Rainbow Falls and then back up to a different shuttle stop. A steep set of stairs will take you to the base of Rainbow Falls. Bring your swim suit and you can take a dip in the pool created by the falls. 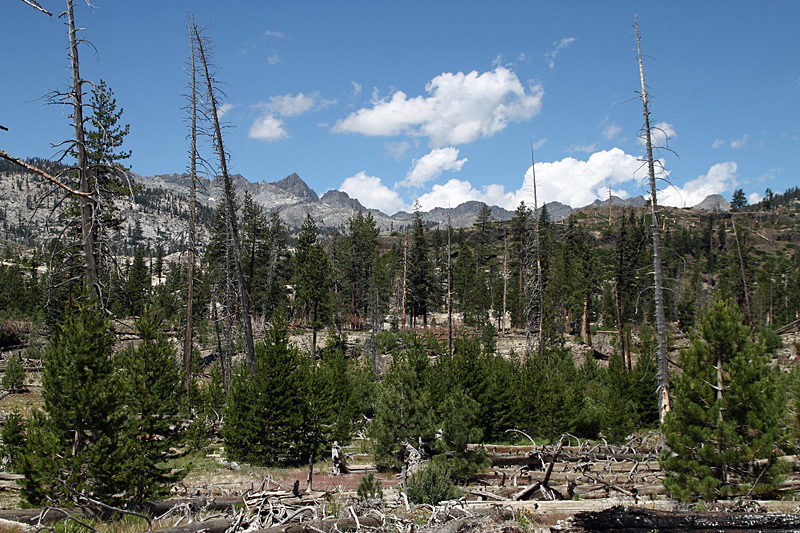 This view is seen on the trail from Devils Postpile to Rainbow Falls. 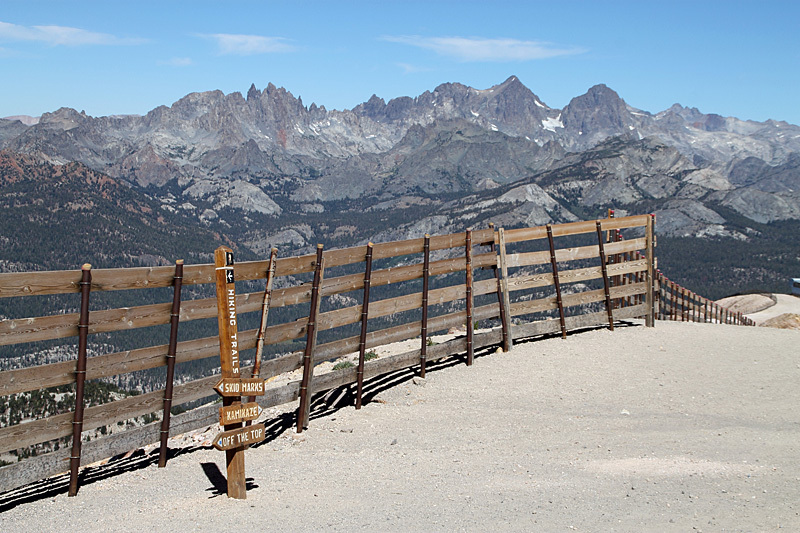 For some iconic Eastern Sierra views, drive up to Minaret Vista, which is just a mile beyond the main Mammoth Mountain lodge (which is where you pick up the shuttle for Devils Postpile). 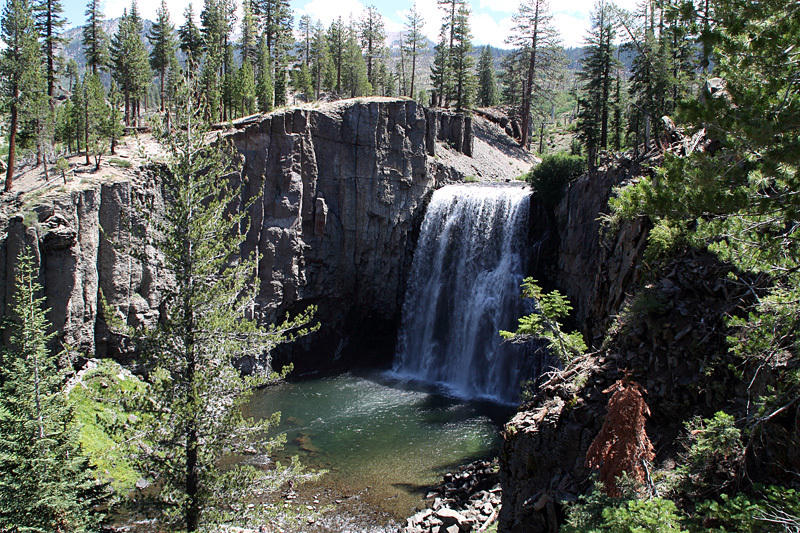 This is just outside of the town of Mammoth Lakes. 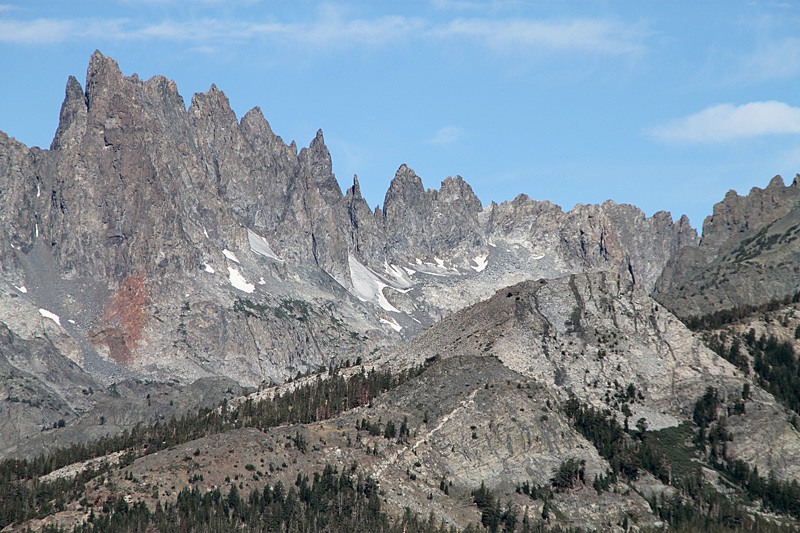 This view of the Minarets was taken from the top of Mammoth Mountain. A gondola ride can carry you up there in just a few minutes. 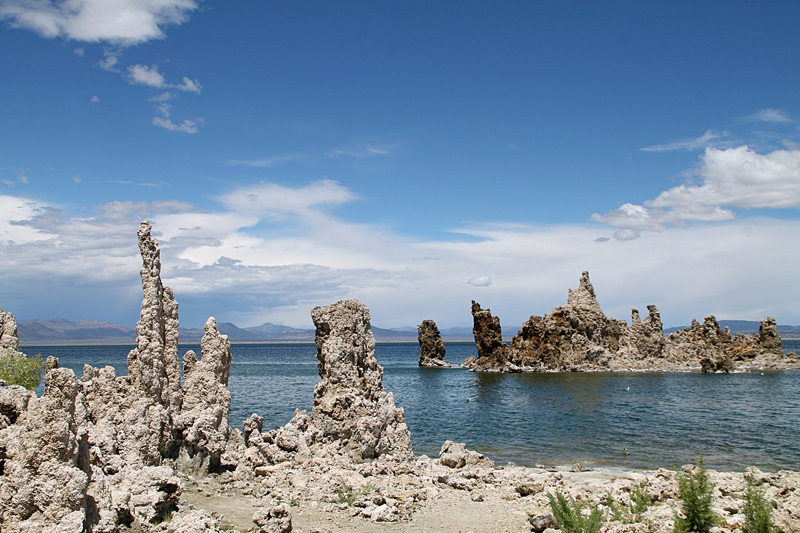 A flat one mile trail at the South Tufa Area takes you by the amazing tufa formations of Mono Lake, shown here and here. 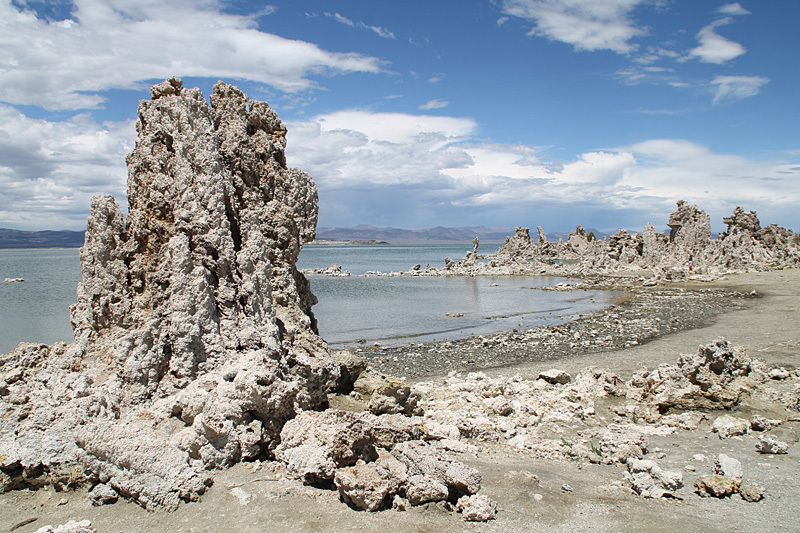 This is a few miles from Lee Vining. 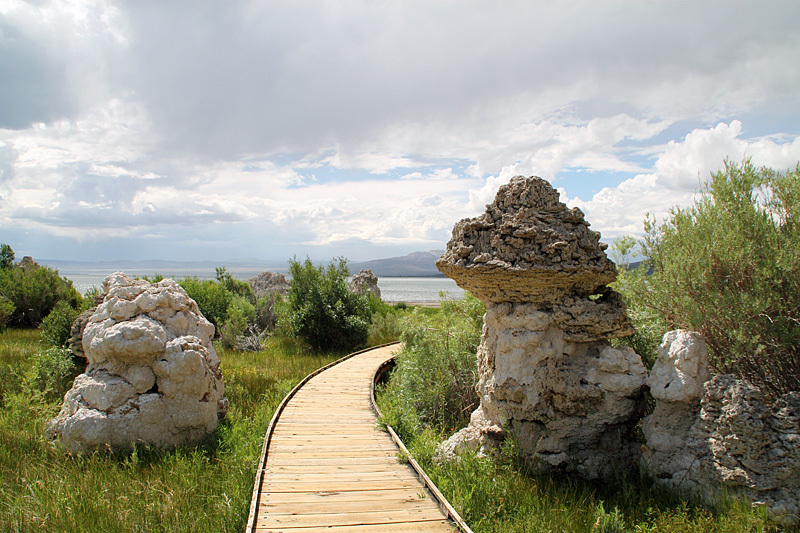 Mono Lake County Park is known for its excellent birdwatching and has a short boardwalk trail which takes you to the edge of the lake. 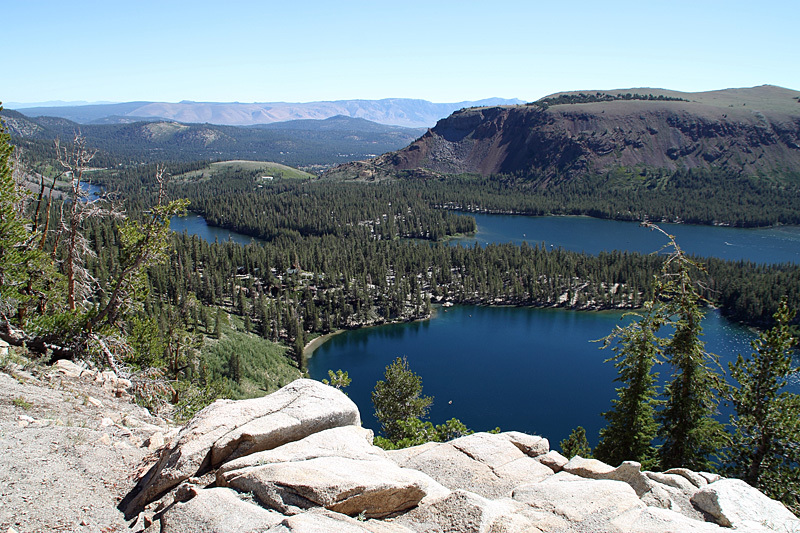 Just outside of Mammoth Lakes, a moderately steep 3-mile round trip takes you to Crystal Lake. 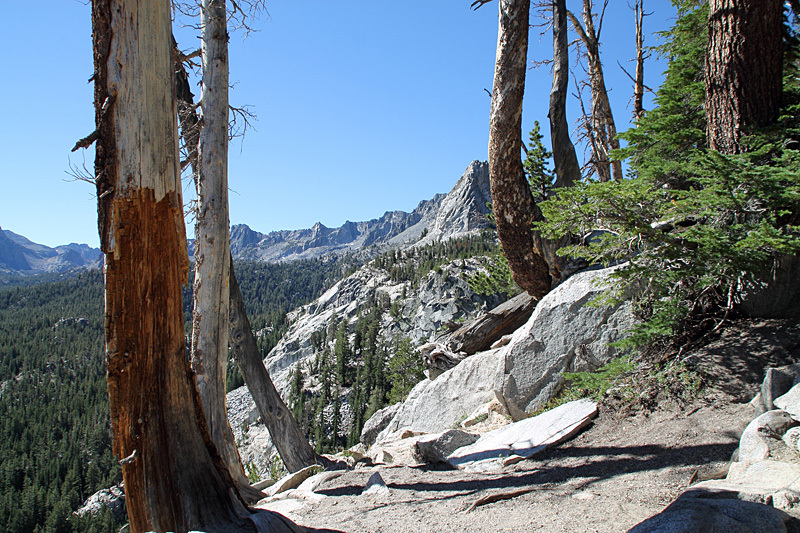 These views from the Crystal Lake trail show us Crystal Crag and the Mammoth Lakes Basin. 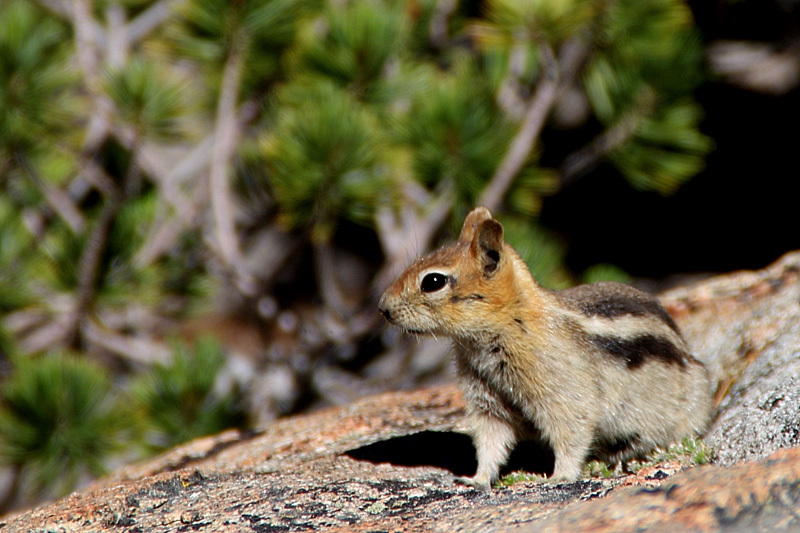 Golden-mantled Ground Squirrels are a common sight in the Sierra. This one was at Crystal Lake. 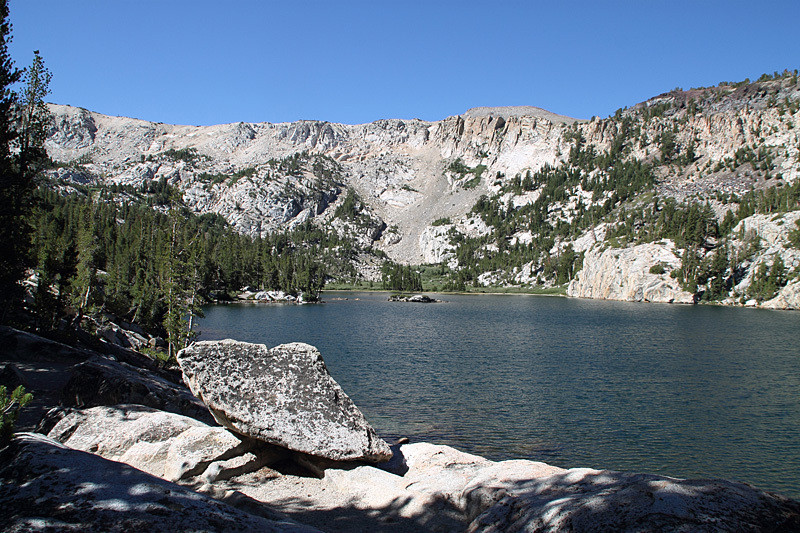 You can drive to Horseshoe Lake in the Mammoth Lakes Basin. 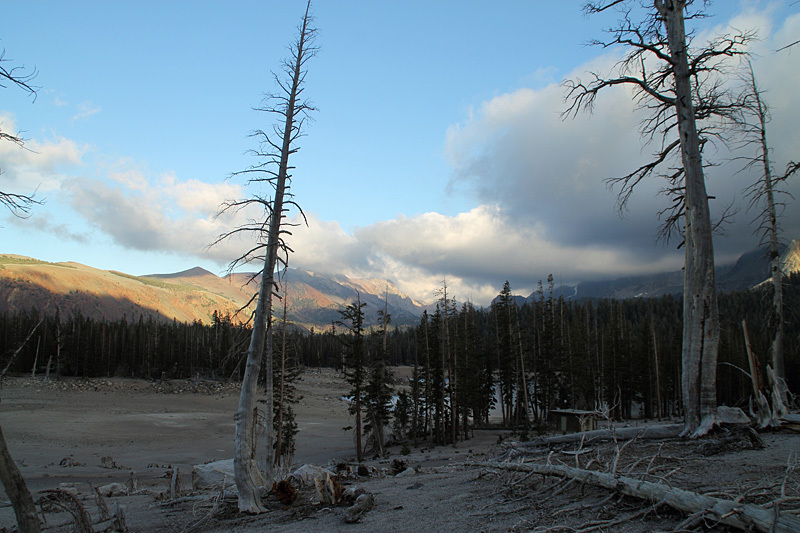 A large area of dead trees is due to high levels of carbon dioxide in the soil, a remnant of the volcanic activity which created Mammoth Mountain.